Sally Gross began her music industry career in 1990 as an artist manager. She has been involved with all aspects of the music industry from copyright disputes to sold-out shows at Sydney Opera House. Over the past two decades – either as an artist manager, record company director or international business affairs manager – she has worked with five acts that have each sold over a million records: Adamski, Rollo and Rob D (who are responsible for Dido), William Orbit, Gotan Project and singer/song writer Fiona Bevan. Sally is also Programme Director of the MA Music Business Management course at the University of Westminster in London. She is particularly interested in copyright law and how its development impinges on the creative process. She has four children and a passion for the arts spanning everything from literature to disco. The nature of leadership and management is changing across most industries and managers in the music industry face a particularly daunting task. Established music industry management structures and practices are evolving in response to the challenges of piracy, new and emerging markets, technology and new business models. Managers operating in this environment require strong industry knowledge and an international perspective combined with highly responsive and flexible skill sets. The University of Westminster’s MA Music Business Management course aids students in navigating these treacherous waters and the key elements of the course are contained in this book. George Musgrave (aka Context) has a PhD in Politics from the ESRC Centre for Competition Policy based at the University of East Anglia, an MA in Politics, Philosophy and Economics from UEA, and a BA in Social and Political Sciences from the University of Cambridge where he is a Titular Scholar. His ESRC funded research has been presented both nationally on platforms such as BBC Radio 1Xtra’s ‘Generation Next’, as well to academic audiences including IASPM, the Public Administration Committee, and CREATe.He is also an artist and songwriter signed to EMI/Sony/ATV, referred to by BBC Radio 1Xtra’s MistaJam as ‘Middle England’s Poet Laureate’. He has worked with Mike Skinner of The Streets, was the first ever unsigned artist to be placed on the MTV Brand New list in 2012, and has been playlisted on BBC Radio 1. He performs regularly at events such Wireless Festival, and Reading/Leeds Festival, and has been supported by the Huffington Post, SB.TV, The Independent and more. This chapter will examine how popular music in the digital age has been affected by technology at every level, from the creative process in grassroots/underground community production to the audio quality received in our headphones from our mobile devices. Although popular music has been subjected to industrial production values at the top end of the vertical chain, it has always had its roots within specific geographical communities. We will examine and evaluate different theories and opinions about popular music development and production in the light of these changing conditions. In this new era of communicative capitalism we will examine how diversity in popular music fares. 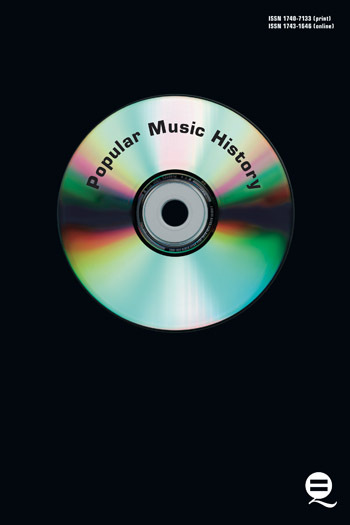 The tension of money and music is not new – and historic systems of musical education and development are not new either – what is new and challenging is the way in which the Anglo-American pop music has come to dominate the airwaves and cyberspace despite the fact that access to the means of production and distribution has been revolutionized in the digital era. Music is now mobile and attached, embedded or at the service of something else, something more than just music alone. This shift is very important and needs to be addressed as it impacts on the whole music industry ecosystem. In this chapter we will hear from a variety of music creators as well as the music producers at the top of the music supply chain, to critically examine how they approach new music production in this environment. Which brings us back to the concept of stickiness and its impact on the industry. This book is written in the middle of the second decade of the 21st century and worryingly it seems that even when things start to go viral, and they still do, they also seem to increasingly, and with greater speed, lose their sticky quality and like a firework they sparkle and fade away into a black hole. But only a very few are talking about the lack of stickiness, mostly the industry has divided up, as it usually does, into a vertical supply chain of interest groups and depending where it is on that chain, it is identify and researching and developing solutions to what they perceive to be their main problem – the seeping of their power and profits into the ether or black hole of the internet. This book is going to argue that the lack of ‘stickiness’ is a profound problem that affects us all because we are all makers and producers and users of culture. We are not going to be arguing for music or culture to be protected or preserved or that the answer lies with outmoded copyright laws that are unfit for the present world – although we do believe to an extent all that can be argued too. The central argument is more specific – it is affected by the missing ‘stickiness’. That lack will continue to act negatively on all spheres of musical production from the kids on their laptops or mobile devices to the major entertainment industry conglomerates. This chapter will examine the centrality of denial within the music industry and how government higher education policy and, specifically, the widening participation and expansion of higher education that gave birth to ‘new’ universities and ‘new’ courses such as commercial music degrees – plays an active part in the denial process that is central to the myth making that the music industry PR machine and marketing departments rely on but that is being broken now at the point of its stickiness. Law is the nexus of copyright and contract that binds the music industry together from the music lovers to the music makers, to music sellers and beyond. Law is the inescapable glue. The digital environment challenges in every sense all that we know and understand about borders, boundaries and national identity-concepts that are essential to all current legal systems. In this fluid space a variety of ideas and approaches attempt to understand and shape this infinite black hole of information, a political war is being waged over the meaning and the means of production of culture, of which music is a part and to which legal systems give definition and a framework of exchange. It can be argued that it is the legal definition of music as property that is protected by copyright (Wikstrom) that created the music industry. The music and media landscape has changed: it has expanded in the digital era beyond national boundaries and now includes countless blogs and special interest websites along with social media giants Google, Facebook, YouTube and Twitter. News, information and entertainment are received and consumed in a multiplicity of different ways, often simultaneously. Modern ideas of democracy and media power that have shaped regulation of the press and audio visual media are arguably outmoded and ever more difficult to police. In this chapter we will examine how music copyright and the all-conquering contract law is being developed and utilised to control the exchange of music, from the policing of the internet to the all rights deals and the free labour machines of the new cyber lords, Google, Facebook et al. 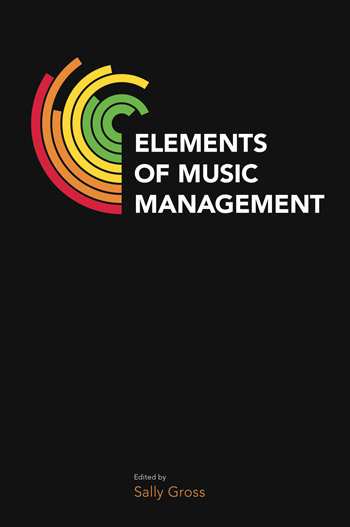 This chapter will argue that the role of the professional music manager, as the classic intermediary between the spheres or art and commerce has been severely challenged on and from all fronts in the new music economy. From the best friend that drives the van, to the family member that lends the band the money to shoot the video, to the exploitive Svengali that has the vision – of all the mythical characters and clichés that inhabit the musical landscape, the role of manager has always been an uncomfortable seat. In this era of economic austerity and DIY music entrepreneurs this chapters will look at how the role of music manager and music industry middle management has been transformed. If contemporary neoliberalism has a buzzword it would be that of ‘entrepreneurship’; the AirBnb-esque entrepreneurialisation of society whereby we are all rendered agents of our destiny in the exemplification of individualisation. Indeed, the notion that artists are themselves entrepreneurs is a concept which feels uncomfortable to those who adhere to a romanticised notion of creativity, and yet, artists are, and always have been, businesses of sorts. After all, as Bourdieu suggests, all agents seek profit, but not all profit is necessary fiscal. The central question of this chapter is; how does artistic entrepreneurship look and feel for artists today? That is, if the communicative heart of the music industry is the artists whose creative vision and desire to be heard propels the other components in the machine, what is the impact of an entrepreneurial orientation of their lives? Using the book’s central themes of ‘stickiness’ and the ‘power law’, this chapter will explore the ways in which todays artists seek to resolve the contradictions of the ‘Babel Objection’: ‘if everyone speaks at once how can anyone be heard’? How do todays artists entrepreneurially manoeuvre through that which Kretschmer evocatively describes as “the noise of creative ambition”, and what do their behaviours suggest to us about wider changes in not only the creative economy, but for art more generally? In an environment of desperate collaboration in order to differentiate oneself from the masses and ultimately achieve stickiness – of democratisation butting heads with the imperative for artistic uniqueness – how do artists feel that this strategic orientation towards creativity impacts their lives? In the absence of Vasari, we need new ways to understand the live of the artists, and these artistic lives are ones driven by entrepreneurial motivations which have profound ramifications for the ways in which artists live their lives. In essence, we might argue that the ultimate entrepreneurial success of artists is in fact simply being able to make music in the first place; carving out the time and space in cyberspaces ubiquity of urgencies against the backdrop of the ever collapsing structures of social democratic safety-nets which crumble under the relentless pressure of neoliberalism’s power, akin to Atlas’s knees finally buckling as the world weighs too heavily on his weary frame. Ultimately, what is the fate of these entrepreneurs who’s experiences of the world become the musical content we are all in this business to listen to and enjoy. Tony Crean is an experienced artist manager and marketing consultant with over 20 years’ experience in record labels, management and international touring with award-winning artists including Goldfrapp, The Chemical Brothers & Portishead. Since 2009 he has also been a visiting lecturer at the University of Westminster. He is a member of the Music Manager’s Forum Copyright Committee. This chapter will focus on developments in the live music industry in recent years from the impact of the downturn in the recording industry to the growth of large scale events, global touring and festival sponsorships. It will examine the roles of the key stakeholders, agents, promoters, artists & audience, and will assess the impact of key factors including artist fees, ticket pricing, the growth of booking & service charges and issues around the secondary ticketing industry. The discussion will reflect on the disruptive effect of technology on both the recording and live industries and the impact on traditional touring models, including the developments in artist-fan relationships social media, the value of data and the attention economy. It will also assess the increased importance of sponsorship & brand relationships in the live industry, and the potential future developments of interactive technology and the challenges they offer to the cultural value of the artist – audience relationship. The chapter appraises the different methods of marketing employed in the digital space and seeks to critically contextualize the changes and methods in the inter-related stages of targeting, positioning, branding and campaigning including marketing plans and budgets and the coordination of live, digital, radio, TV, print and advertising activities. Mainstream, niche and DIY marketing trends are examined, illustrated by real life marketing campaigns drawn from major and indie labels plus successful DIY releases. 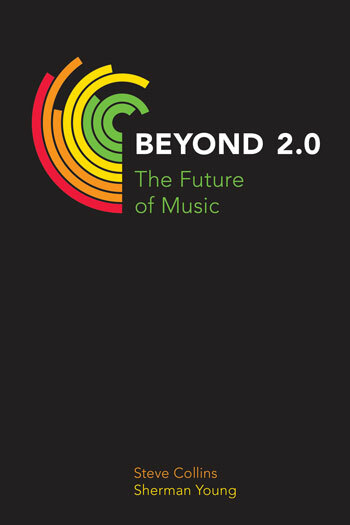 Furthermore this chapter explores the changed face of music marketing – the shift to digital and social media from more traditional “push” marketing techniques. Today music marketing is a catch-all term, which in practice covers 3 distinct and overlapping stages in the process of developing recorded music to the point of commercial release;- namely identifying an intended target market for the release, positioning the artist and their music to appeal to these consumers and finally co-ordinating promotional and advertising activities in a “release campaign”. This is the stage where creativity is tested for commerciality and subsequently marketing (and promotion) of music is characterised by uncertainty. Is the music “good enough”? Will it find favour with its intended target market?